View cart “Douglas,Buster sig. on 8×10 photo” has been added to your cart. 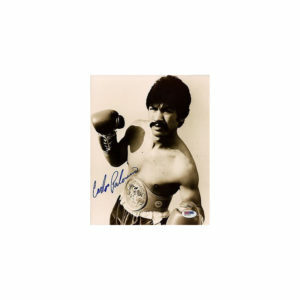 Alexis Arguello & Ray Mancini signed color action photo signed by Alexis. Carlos Palomino Signed 8×10 black and white photo.